It's time to party Mardi-Gras style! Whether you're actually going to New Orleans or Carnival in Rio de Janeiro, or hosting your own party at home, here's some excellent tips to help you either survive the party or be the host with the most. Or both! Mardi Gras, or “Fat Tuesday” is basically the big party before “Ash Wednesday” and the beginning of Lent - the 40 days of prayers and fasting prior to the celebration of Easter Sunday and the end of Lent. With Louisiana's strong ties to European and French culture, Mardi Gras has been celebrated there in one form or another for over 300 years! Carnival in Rio would also follow a similar party timeline, but it usually goes a little past Ash Wednesday than Mardi Gras in New Orleans does. So you want to get your Krewe together and have an epic Mardi Gras Party! That's a great idea! 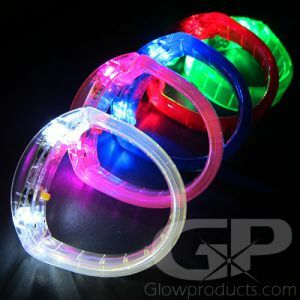 And we at GlowProducts.com are going to help you achieve all of your amazing Light Up Mardi Gras Party dreams! With some fun green, purple and yellow glow in the dark party supplies, a few light up bead necklaces and glowing deely boppers as party favors and of course some light up drinking glasses and glow ice cubes, your next Mardi Gras will be an unforgettable glowing extravaganza! 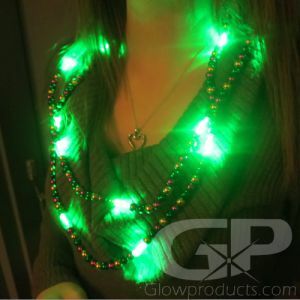 1) Light Up Mardi Gras Bead Necklace - The classic Mardi Gras Throw Beads that light up with bright green LED beads. Super Cool! 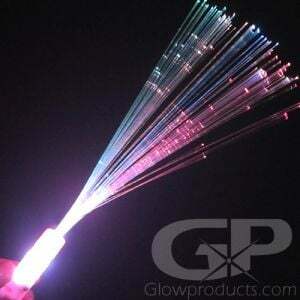 2) 22” Mardi Gras Glow Stick Necklace - What's Green, Purple and Gold and Glows in the Dark? 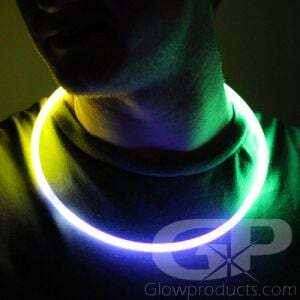 Three Color Mardi Gras 22” Glow Necklaces! 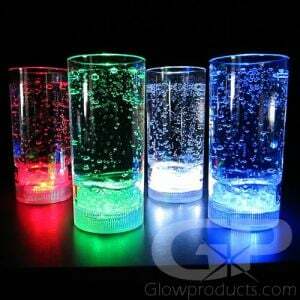 3) Light Up Tumbler Glasses - Available in a variety of colors, this classic glow in the dark cup looks great with any beverage, from a “Hurricane” to a “Shirley Temple”! 4) Purple and Green String Lights - The quick and easy way to light up centerpieces, make glow in the dark Mardi Gras party decorations and even light up costumes! 5) Light Up Sunglasses - The ultimate instant costume! 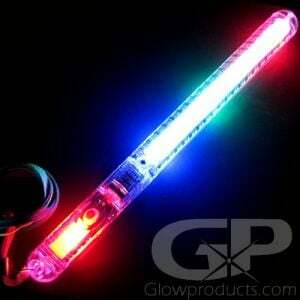 Just put on a pair of glowing shades and you're ready to party! How to Make Your Mardi Gras Party Glow in the Dark! If you're looking to take your Mardi Gras party to a whole new level, then you're going to have to Light it Up! And when we say light it up, we mean Light it Up! 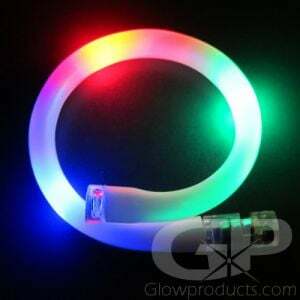 Glowproducts.com is the place to be for all of your glow in the dark party supplies for your Mardi Gras Party. We make decorating with light easy and affordable! For light up centerpieces we recommend Crystal Base Fiber Optic Lamps or our big Round Orb Centerpiece Lamp, Column Cube Centerpiece Lamp, Pillar Centerpiece Lamp or Star Centerpiece Lamp as fantastic, stand alone decorative party lighting. Our 3 piece Flameless LED Candle Sets with Remote also work as excellent glow in the dark centerpieces, or ambient party lighting. The great thing about LED candles is that you can leave them unattended - there's no open flame to worry about if they get knocked over. And with these LED candles, you can even choose from a wide variety of color options, including one candle to brightly glow with purple light, one to green light and one candle to gold light! If you have vases with flowers or other Mardi Gras decorations such as masks, you can light them up with versatile Fairy String Lights. Fairy String Lights just make everything look better! You can also set your flower vases on to our Large Decor Light Base with Remote to light it up from below, or even put one of our Waterproof Decor Lights with Remote right in the vase to light it up, or even inside ice buckets and party decorations to illuminate those as well! 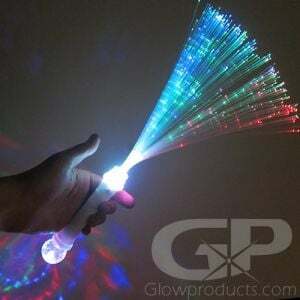 Now all you need to do is light up your drinking glasses and your Mardi Gras party decorating is complete! How to Light Up Your Mardi Gras Drinks! Now that you have all of your glow in the dark party decorations in place for your ultimate Mardi Gras celebration (just don't blame us when your guests start a Mardi Gras Parade around your living room) you're going to need something to put your drinks into. 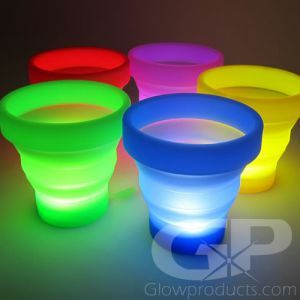 Here at Glowproducts.com we pride ourselves on our wide and diverse line of different glow in the dark cup options. 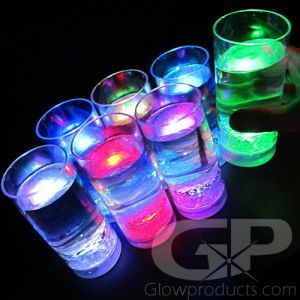 We have everything from Light Up Tumbler (Highball) style glasses to Glowing Party Cups, Rock Glasses and Disco glasses. We also have light up stemware available as well. 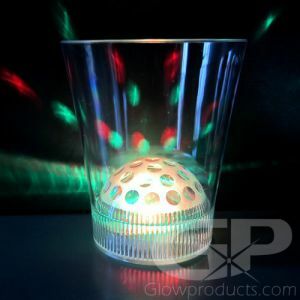 Make your martinis or glass of champagne shine with Glow in the Dark Martini Glasses, Lighted Champagne Glasses or have fun with glowing wine glasses and multi color light up margaritas! 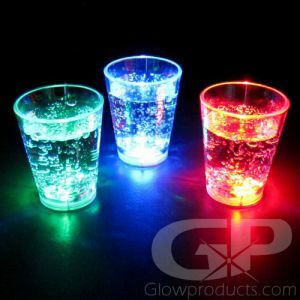 If you would rather use your own drinking glasses at your Mardi Gras party, don't worry, we can still light those up too! With Glow in the Dark Ice Cubes, light up cherry decorations, glowing stir sticks, light up straws and drink coasters, we can make your glassware shine! 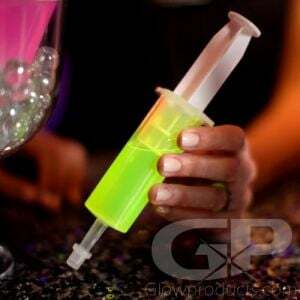 And finally, no self respecting Mardi Gras party would be complete without Glo-Shot jello shot injectors. Wait, you say, I don't know how to make jello shots! 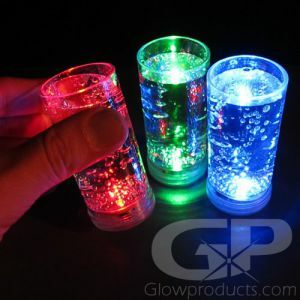 That's OK, we've got our special drink recipes, including how to make jello shots for your Glow in the Dark jello injectors right here! The eternal question for both guys and girls when attending any party - what am I going to wear? The good news about Mardi Gras is that you can wear anything! 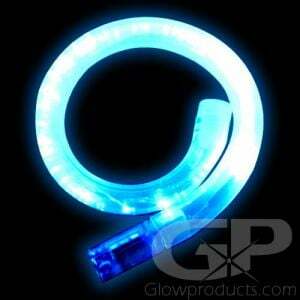 But we here at Glowproducts.com really feel that what you wear should also light up! Star, Heart, Crystal and Cross Glow in the Dark Pendant necklaces make great party favors. Throw out Light Up Mardi Gras Beads and Three Color 22” Glow Stick Necklaces just like you were at a real parade along St. Claude Ave! 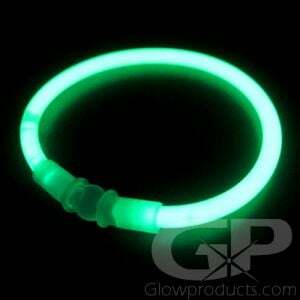 And if your Mardi Gras Party is really big, you can hand out our glowing wristbands. And if you're looking to light yourself up literally from head to toe, start with our bright fiber optic shoelaces and then wrap your legs with Electro-Luminescent Wire (you'll need one kit per leg.) Then use a Scrolling Message Text Belt Buckle that you can program yourself to let everyone know you're ready to party. By programming “READY TO PARTY” into the belt buckle! 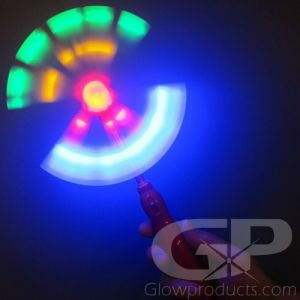 To light up your hands you'll need a pair of LED Gloves with Light Up Fingers and then a pair of Light Up Sunglasses. Top it off with a Glowing Shark Fin Headband or Light Up Spike Mohawk and you're good to go!